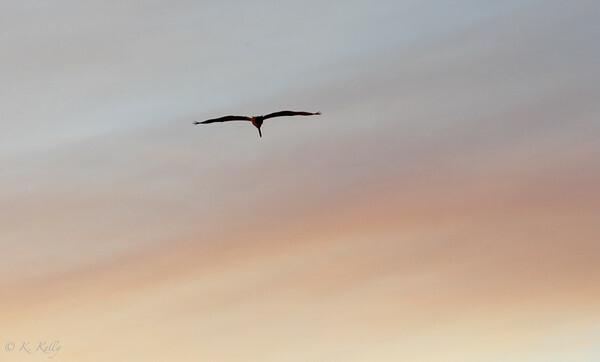 As we've seen time and again, life can change in a mere moment. Last week a leisurely beach walk left my husband and I wondering where we should head to lunch. Then my phone exploded with texts from my kids at school showing photos of billowing smoke along with a query if our house was OK. Little did we know the last 10 minutes had brought an eruption of flames less than a mile from our house. Peering out the back window smoke clouded the sky and adrenaline kicked in. 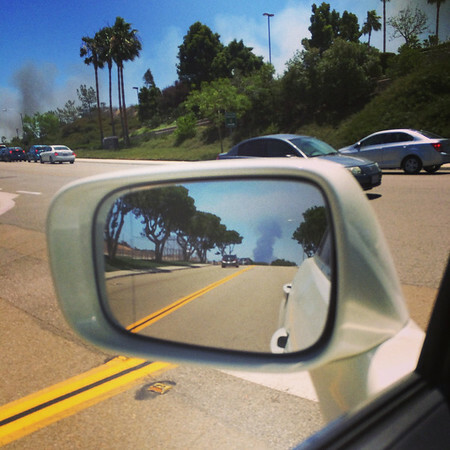 Luckily for us, the westerly Santa Ana winds blew the fast moving fire away from us, but what we viewed as luck turned to devastation for others. Hot and extremely dry conditions exasperated by the strong winds whipped the fire into a true fire storm in minutes and displaced thousands of residents as evacuation orders were sent by local authorities. Homes, businesses and schools had people fleeing the flames as fire crews fought valiantly to control the fire. While any loss is devastating, our incredible fire fighters saved hundreds of homes and businesses as well as a local school with no loss of life. Stories of flames licking back fences have been common, but the fire crews in combined efforts with water dropping helicopters stopped the flames in their tracks for nearly all buildings. Losses do include 18 apartment units and 3 single family homes, and the outpouring of support from our community continues to this day. Evacuations lasted up to 24 hours for most residents, and families did what they could to grab pets and valuables before leaving their homes. With panic to regroup, parents did what they could to gather kids from schools and reunite at a safe place, and our home became just such a meeting place. Instructing my son to bring home Liv and a close girlfriend of hers they also stopped at another school to gather her friend's sister while the mom struggled through traffic to find her other daughter evacuating from the school in the fire's path. Bringing their two pups and bunnies to our house they weathered the storm here and we made the best of it while keeping a close eye on the smoke direction as well as the constant fire news on the tv. As my plans to head to Trader Joe's evaporated with the events of the day, a rummage through the kitchen found fresh tomatoes, avocados, and corn. Running low on pasta, I don't think I've ever been so thankful for my job as a food blogger as I remembered a gift box from one of my favorite grain companies, Hodgson Mill. Just a week or so earlier, Hodgson Mill had sent me a few packages of a new whole grain pasta to try. Pulling out the bag of Ultragrain Penne with Quinoa, evacuation time and a captive audience seemed to be the perfect occasion. Bringing our veggies outside to the grill we grilled the tomatoes and corn as the pasta simmered. Fresh basil from the garden brought a freshness to the salad, and watermelon and a quickly tossed together focaccia rounded out our meal. The verdict?? Absolutely fabulous!! 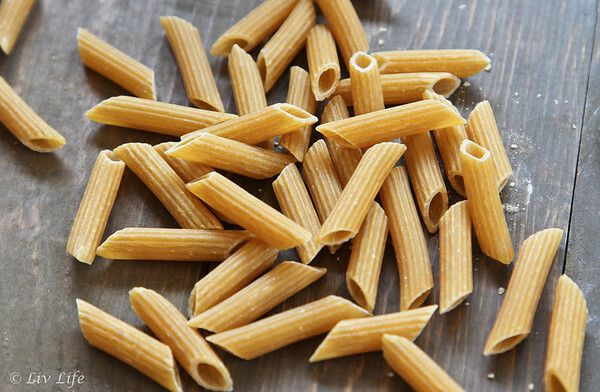 None of us had had good luck with whole grain pastas in the past, but this version brought a perfect al dente bite and a rich pasta flavor that had everyone, including the kids digging in for seconds. As our friends returned to their home safe and sound later that evening, compliments abound for our tossed together dinner. A big thank you to Hodgson Mill for feeding us during the fires! 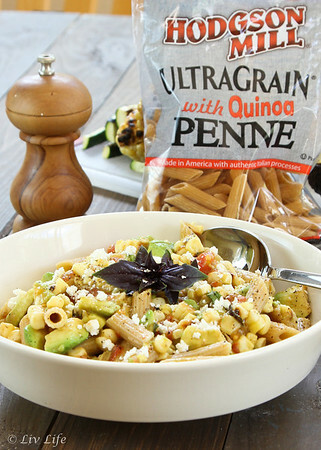 You truly have a few new Multigrain Quinoa Pasta fans, and you can bet I'll be stocking up on pasta on my next trip to the store. 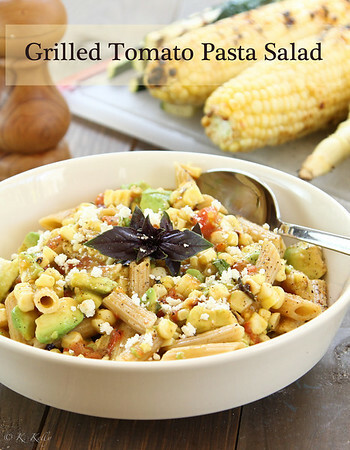 Grilled tomatoes and corn toss beautifully with a perfectly ripe avocado and pasta for a simple lunch salad. Add chicken for a more substantial version, and vary the veggies to what you have on hand. Zucchini, asparagus or marinated artichoke hearts would make fabulous additions! Preheat grill to a medium heat. 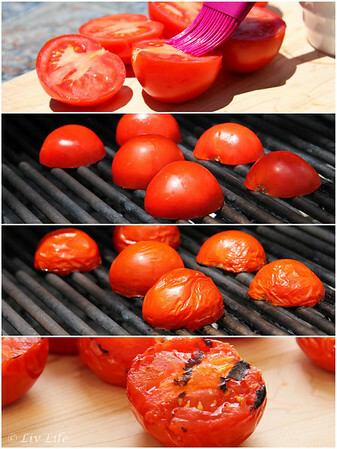 Position tomatoes, cut side up on a cutting board and brush lightly with oil and sprinkle with salt and pepper. 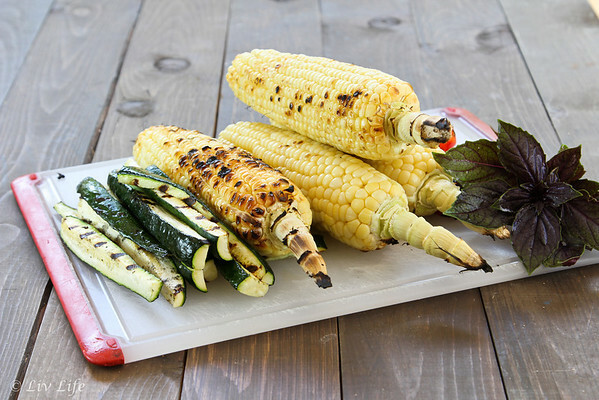 Place tomatoes cut side down directly onto the grill along with the ears of corn. Cover. The tomatoes will cook fairly quickly and will be ready when the skins wrinkle and fall pull off when touched , 2-4 minutes depending on the type and size of your tomatoes. Remove from grill. The corn will take longer, turn every few minutes, and remove from grill when grill marks go all the way around. Allow tomatoes and corn to cool. Meanwhile, cook the pasta according to package directions. Drain and rinse and allow to cool. Place pasta into a large mixing bowl. Pull the skins from the tomatoes, and roughly chop. Slice the kernels from the corn and place along with the tomatoes into the bowl with the pasta. Add avocado and chopped onion. Stir to combine. Add more onion or avocado if desired. Drizzle salad with olive oil and lemon and stir to combine. Taste, and adjust if necessary (I personally like lots of lemon!). Tear a few leaves of basil into small pieces and gently fold into salad. Serve on plates and top with Feta and freshly ground pepper. Enjoy! Oh my goodness Kim, so glad to know you're safe. You made a wonderful meal in the midst of a crazy situation. I know your family appreciated it. It sounds like a winner. We're actually going to be in your part of the country next week. A niece is getting married and we'll be doing a bit of sightseeing as well. Thanks Chris!! It turned out to be sort of a fun day even though it was in the midst of an emergency. What a great salad for lunch! Thanks Medeja!! I have to admit I've made it twice! All is well Krista!! Fires are all gone and life is back to normal. And well fed?? Yes! Life is back to normal!! Thanks for the good thoughts, Raven!